I remember as a kid growing up and using bar soaps. The would come in a 6 or 8 pack. My mom would buy Irish Spring or Dove and we would use it without any issues. They would be slightly slippery and I would spend my time trying not to drop it. The soap got the job done. A few years later, they started marketing liquid body soap. I favored Dove. A little more expensive, but I would go home to my parents on college breaks and take some from my mom's stash so I would have it for the rest of the school year. Along with those liquid body soap came the need to use body sponges. The most popular is probably the plastic poufs that you find easily at the dollar store. Cheap and disposable. I never consciously felt that bar soaps were inferior in any way. I just saw a new, cool product to have. I don't think they even market bar soaps now. This year I have been more aware of my conscious spending as well as my impact on the environment. After finishing my last bottle of liquid body soap, trying out a few DIY soaps (which turned out 50% ok most of the time), I am now fully using natural bar soaps for my shower needs. Now, this may seem small in the grand gesture of things, but to me, this means I no longer pay for marketing, I no longer use plastic. Look for bar soaps that are locally made, have natural ingredients and come packaging and plastic free. 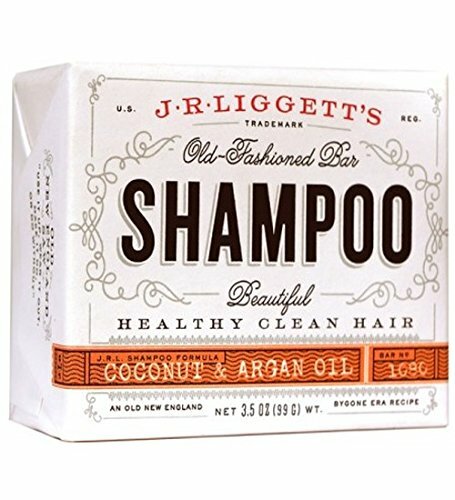 As of today, I am currently using JR Liggetts Shampoo for my hair. It's been 30 days and so far so good. I'm not a high maintenance girl and my hair is so thick that I always end up putting it in a bun or a ponytail. The biggest change I have seen is the lack of frizz. It's astounding! I'll have a full review of this shampoo in a later post. For the body soap, I bought soap at the Grand Bazaar when we were in Istanbul. Now, if you have been to Istanbul and have had a chance to use the hammams or Turkish baths, you know how clean you can get. They basically have you sit in a sauna for hours, then scrub you down until all of your dead skin cells are gone. Trust me, the water turns brown. The soap they use are made with natural ingredients and are usually made from a local village. They also smell refreshingly nice. Now, back in the States, you will find many local artisans making soap. Buying and using bar soaps are a great way to buy local and support local shops. Your skin will also start getting use to the natural oils of the soaps that you don't need to apply other products. I pair my body soap bar with a Turkish exfoliating glove. This glove is made from polyester and viscose so I am looking for an alternative product that does the same exfoliation, but made of natural fibers. I'm working on this part as I had thought the cloth was just cotton, but after some research, it was not the case. The irony with a lot of these body and hair products is that it strips your skin and hair of it's natural oils, only to market you a product to moisturize it back. Once you start using natural bar soaps, you will find that your body adjusts and regulates the natural oil production from your skin and hair. When selecting your bar soaps, make sure you select ones with natural ingredients. Coconut oil and argan oil are common ingredients. Choose ones that also have natural scents. These should be sulfate free as sulfates can irritate skin. Also, make sure you try your products out for a couple of days as your skin and hair need time to adjust to the lack of chemicals you are cleaning with.